The Balkans is a geographical region in southeastern Europe. Although the boundaries of the Balkans have varied over the centuries, Bulgaria and Romania have certainly been part of the region at various times. The word “Balkan” comes from Ottoman Turkish meaning a “chain of wooden mountains.” It is an apt description for both these infrequently visited countries, with their gorgeous mountain scenery. Even though Bulgaria is not very famous amongst tourists, it is one of the few remaining exotic destinations of Europe. It has lovely unique architectural styles in each of its cities and towns, Roman ruins, and beautiful vistas lined with mountains, covered with forests and crossed by rivers. Romania’s greatest calling card is its natural beauty, with the Carpathian Mountains serving as majestic backdrop. Many intact medieval villages feel like a trip back in time, with their town squares, churches, and surrounding Bavarian-style homes and shops reflecting the region’s Hungarian and German ancestry. Toto Tours has visited most of the Balkan countries in the last few years, and we now complete our Balkans circuit with these final two countries during this exciting two-week tour. Your international flight to Sofia, Bulgaria should land sometime today. Collect your luggage and look for a driver holding a Toto Tours sign. He will drive you to our centrally located hotel. This evening our group gathers for the first time for cocktails in the hotel’s bar, followed by a short walk to a local restaurant for our Welcome Dinner. Overnight in Sofia. (Dinner Included). Dating back to the fourth century BC, the ancient capital of Sofia has a wealth of different architectural styles including Greek, Roman, Turkish, Byzantine, and Bulgarian. The city boasts many theaters, museums, opera houses, art galleries, universities, open-air markets, and over 300 parks. The tour includes a general orientation and overview of the city center, plus entrance to Alexander Nevsky Cathedral, the National History Museum, and the UNESCO Boyana Church. Following lunch, the afternoon is at leisure. This evening, we enjoy a lovely dinner with traditional Bulgarian music. Overnight in Sofia. (All Meals). Our destination this morning is the Rila Monastery, the country’s most famous site, which is hidden away in a remote forested valley. Founded in the late 13th century, this complex is no delicate religious structure, but an imposing medieval fortress. 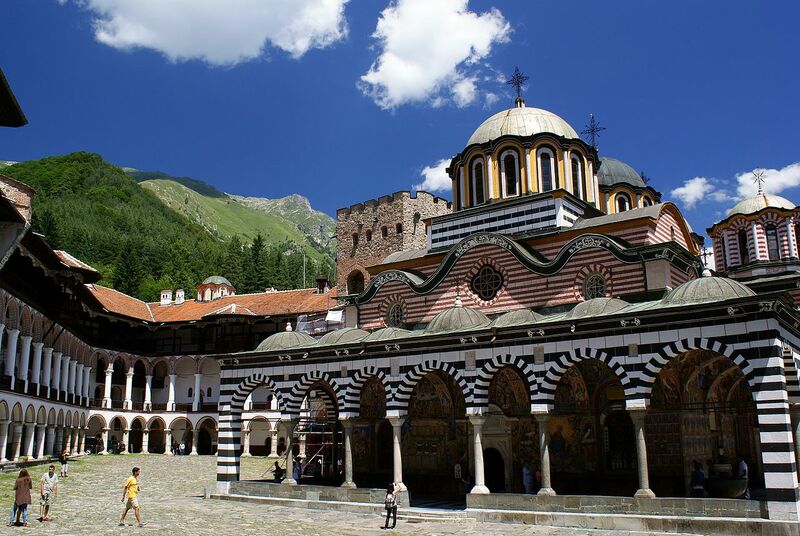 UNESCO included the Rila Monastery on its list of World Heritage Sites in 1983. After lunch, we continue to the town of Plovdiv, arriving in late afternoon. Enjoy some free time after hotel check-in, followed by dinner in a local restaurant. Overnight in Plovdiv. (All Meals). 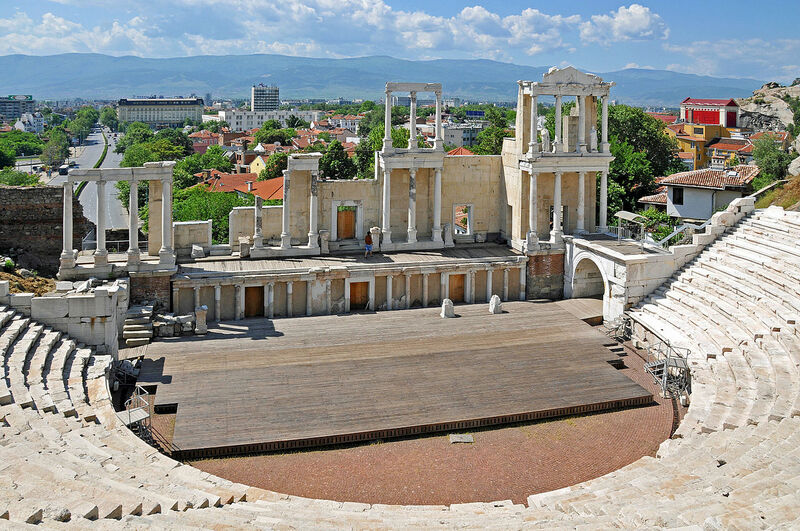 Our morning city tour of Plovdiv takes us to the Roman Theater (one of the best preserved amphitheatres in the Balkans) and the Ethnographic Museum. Our next stop is the nearby Bachkovo monastery, which ranks second only after the Rila Monastery regarding size and architectural significance. We have lunch at the monastery, after which we return to Plovdiv where you will have free time to explore the city’s lovely old town. Early this evening, we drive to the village of Brestovita for winetasting and dinner at one of the local wineries. Overnight in Plovdiv. (All Meals). Departing Plovdiv, we drive 75 miles to the town of Kazanlak. Tucked between two mountain ranges, it was originally settled in ancient times as the Roman city of Sevtopolis. The main attraction is a heavily secured Thracian Tomb, discovered during the building of a bomb shelter in World War II and now a UNESCO World Heritage Site. We continue onward to the mountains and visit the Shipka Memorial Church built in honor of the Russian soldiers who fought against the Ottoman Empire for the independence of Bulgaria. We make a final stop in Etara to visit a small but unique open-air museum, before arriving in Veliko Tarnovo, former Capital of the Bulgarian Empire. Overnight in Veliko Tarnovo. (All Meals). On our morning tour of Veliko Tarnovo, we visit the remains of the imposing Tsarevets Hill Fortress, followed by some free time at leisure for shopping or strolling on the Samodovska. Transfering to the village of Arbanassi, we visit one of the local famous churches and enjoy a choir performance. Following lunch, we cross the Danube River into Romania, arriving in Bucharest in the late afternoon. Overnight in Bucharest. (All Meals). 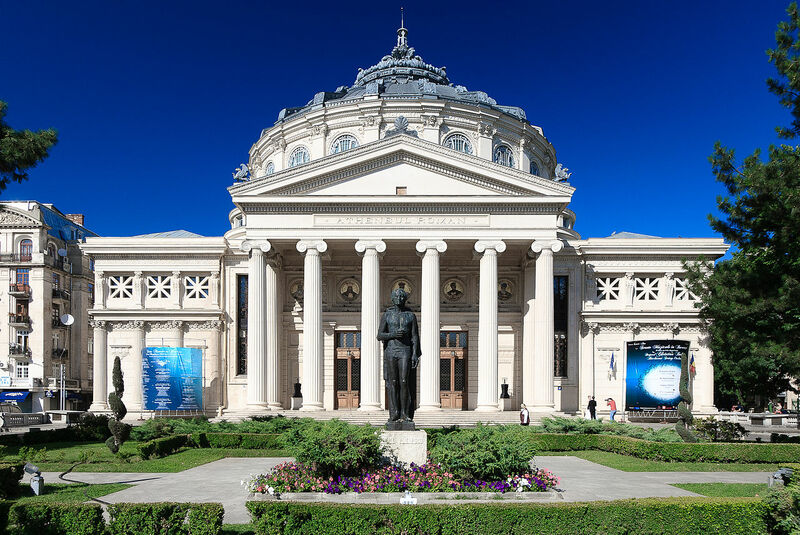 Despite decades of neglect, Bucharest is now actively working to reclaim its reputation as the “Paris of the East.” In addition to its landscaped parks and broad boulevards, this morning’s sightseeing tour will include stops at Revolution Square, the enormous and opulent Palace of Parliament (the world’s second largest building after the Pentagon), the Old Princely Court and Church, Bucharest University, and Victory Square. We will have a free afternoon to explore on our own, followed by dinner at the Old Beercart (Caru cu Bere) which is the oldest restaurant in the city. Overnight in Bucharest. (All Meals). 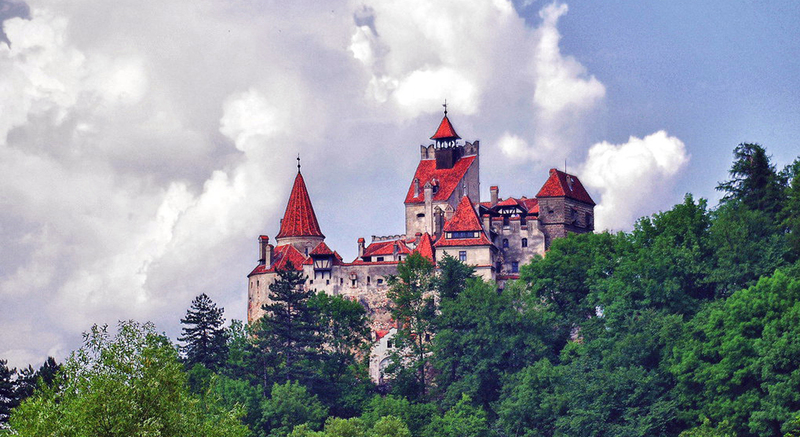 Cross the Carpathians through the scenic Rucar Pass and around noon you will reach Bran to visit the castle made famous by Bram Stoker's novel "Dracula." Our next stop is Rasnov to visit the largest rural fortress in the country, built as a place of refuge in case of attacks by the Tatars and the Ottomans. 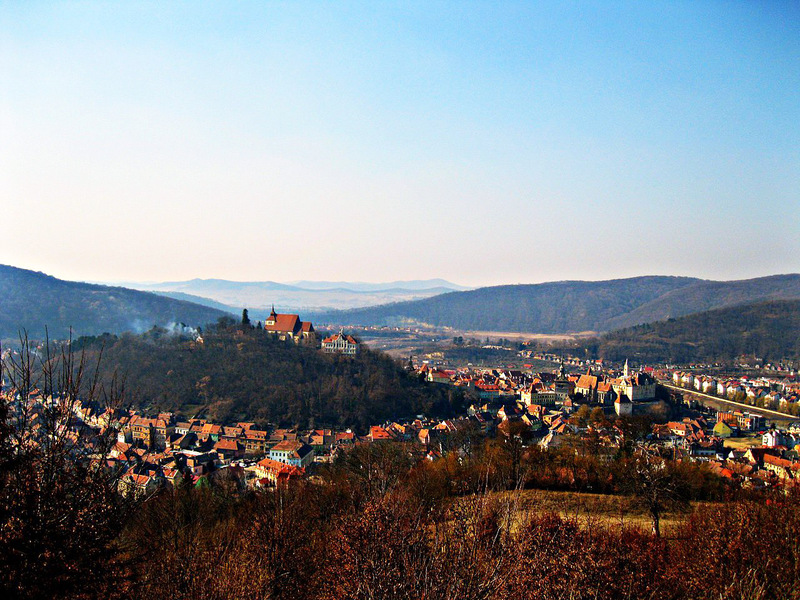 Our final stop is the city of Brasov, founded in 1221 by the Teutonic Knights. We will have dinner at a local restaurant. Overnight in Brasov. (All Meals). 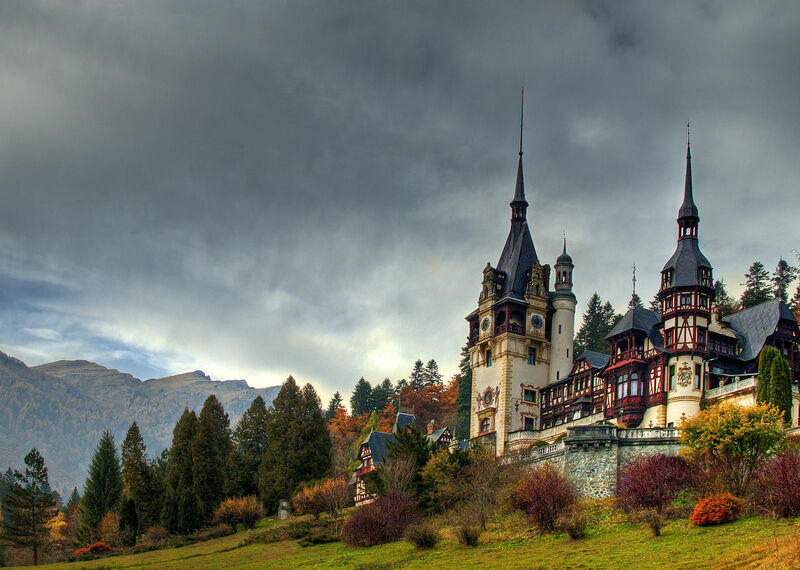 In the morning drive to Sinaia, Romania's most famous mountain resort, where we visit the Peles Castle which was the former summer residence of the First Romanian King, Carol I of Hohenzollern-Sigmaringen. We return to Brasov for a city tour visiting the imposing Black Church which is the largest Gothic style edifice in Eastern Europe. The rest of the day is at your leisure. Overnight in Brasov. (All Meals). 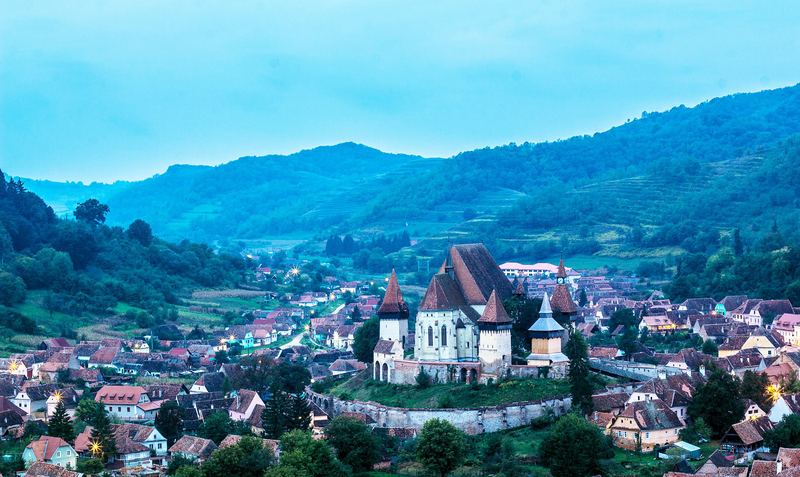 Drive further into the heart of Romania and reach the city of Sighisoara which is a still inhabited UNESCO medieval city. During the tour you will visit the mighty Clock Tower after which you will listen to an organ concert followed by a glass of sparkling wine. We have lunch here and continue to Biertan to visit the UNESCO Fortified Saxon Church. We make a quick stop at Valea Viilor to visit yet another UNESCO Fortified church, before continuing to Sibiu, founded in the 12th century by the German Saxons. Overnight in Sibiu. (All Meals). 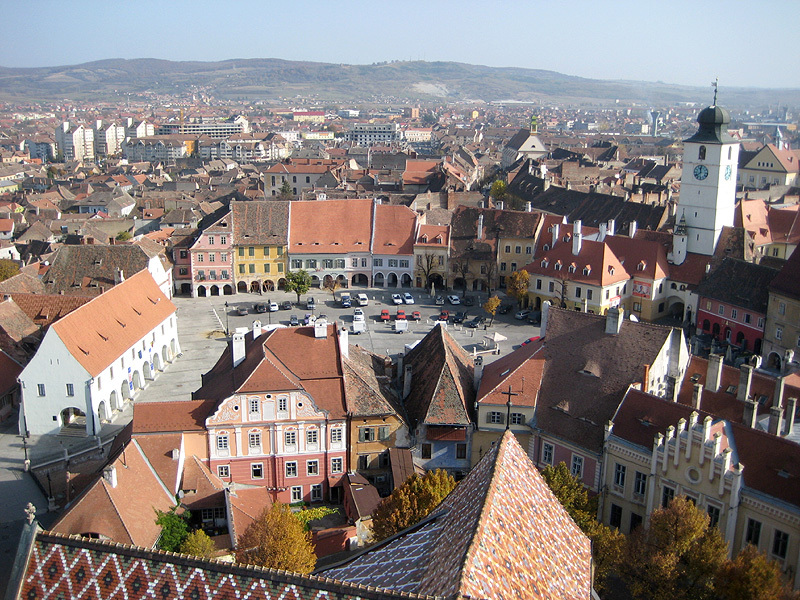 Sibiu is a medieval Saxon town situated in the province of Transylvania, surrounded by the Carpathian Mountains. Its reputation is internationally recognized for its medieval buildings (such as the Brukenthal Art Museum) and its high schools and universities. On a morning sightseeing tour, visit the Upper Old Town with its Big and Little Squares, Clock Tower, the Liar’s Bridge, and Orthodox and Catholic Cathedrals. Following lunch, the afternoon is free. In the evening we drive to the nearby village of Sibiel to take a horse cart ride and enjoy dinner, with traditional dishes, at one of the local farmhouses. Overnight in Sibiu. (All Meals). Drive to Alba Iulia, the city chosen as the place where the proclamation of the union between Transylvania and the Kingdom of Romania was announced. 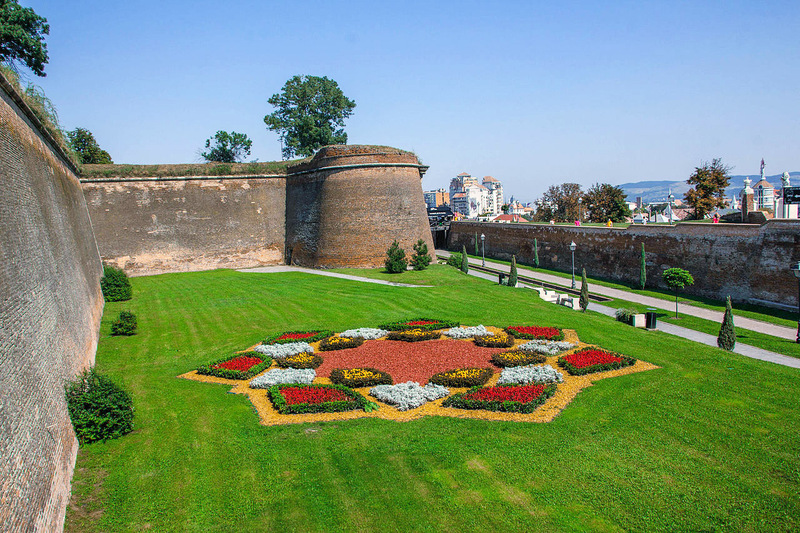 The upper town's fortress has seven bastions in a stellar shape. Continue to Hunedoara to see the 14th century Corvinesti Castle, the most important monument of Gothic lay architecture in Transylvania. Finally, we reach the city of Timisoara by early evening. Overnight in Timisoara. (All Meals). 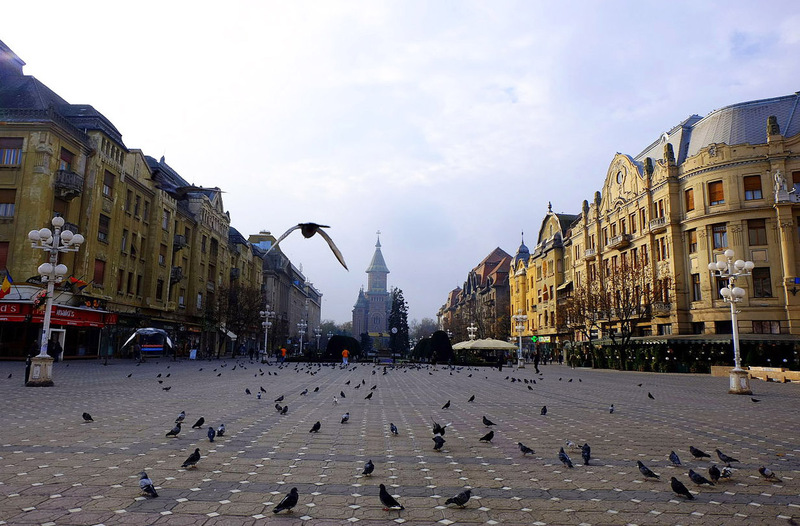 A half-day city tour of Timisoara will take us to many historic sites, with the city center largely consisting of buildings from the Austrian Empire era. The old city consists of several historic areas. We will also see the main square where the Romanian Revolution was started in 1989 and the Revolution Memorial. The afternoon is free, and we gather again in the evening for a celebratory cocktail before our Farewell Dinner. Overnight in Timisoara. (Breakfast / Dinner). The tour officially ends after breakfast this morning. Your airport transfer is included in the price of this tour. If you wish to extend your stay in Timisoara, please let us know on your reservation form so that we can keep your room available for another night. (Breakfast). Entry Requirements - For U.S. Citizens a valid passport is the only document required to enter Bulgaria & Romania for stays of up to 60 days. Immunizations and Health - No immunizations are currently required for travel to Bulgaria & Romania, but it is wise to have your inoculations up-to-date. Is your tetanus booster current? 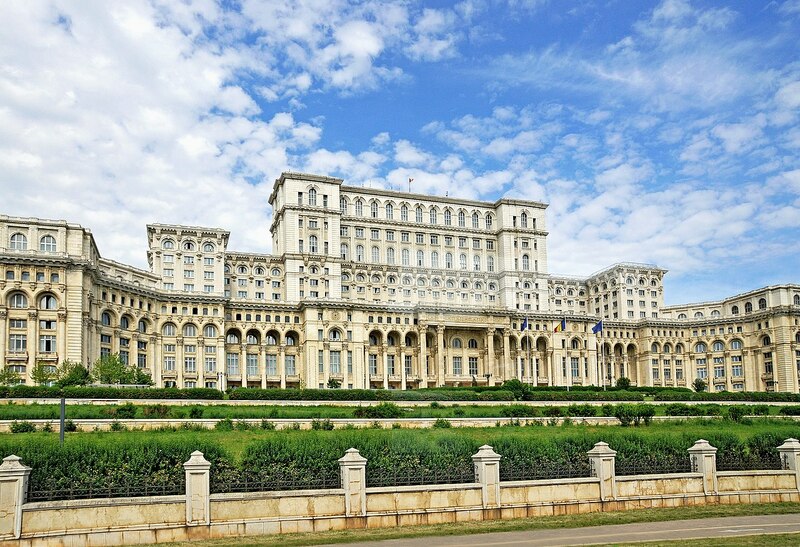 Exit Requirements - There is currently no separate departure tax required of visitors leaving Romania other than that included with the cost of your airline ticket. On this tour, international airfare is NOT included. You will need to get your international air to Sofia, Bulgaria (airport code is: SOF), and return from Timisoara, Romania (airport code is: TSR). We encourage you to work with Steven Goldberg at Frosch Travel in Chicago, who knows the best flights to get you to Bulgaria, with return from Romania. You will need to arrive in Sofia, Bulgaria by the late afternoon on Monday, May 20, 2019. Departure from Timisoara, Romania is on the morning of June 2, 2019. Temperatures in Bulgaria and Romania at this time of year are still springtime cool, ranging between 50 and 70 degrees F throughout the countries. You won’t need a suit jacket or tie, as the tour is informal and dinner attire will be casual, but you will want nice outfits for concerts and dinners. Try to pack light and bring only one piece of luggage plus your carry-on. Create mix and match outfits, and think about layering! Pack any medications you require in a carry-on bag and leave expensive jewelry at home. Long pants (2 – 3 pairs), belt. Long-sleeve shirts (3 – 4). Short-sleeve shirts or t-shirts (5 – 6). Socks, underwear for 13 days. Sweater or fleece to add a layer for additional warmth. Umbrella and rain jacket (just in case). Electrical Adapter. The electricity supply in Bulgaria is 230 Volts/50 Hertz, with sockets type C and F. In Romania, the electric current is 240 Volts/50 Hertz, using standard Euro plugs with two round pegs. Visitors from the US and Canada without dual-voltage electronic appliances will need to use a step-down transformer to prevent damage to their electronics. Click here to see examples and obtain more information. A good book for the international flights. Bulgaria: The national currency is the “lev” (the code is BGN when looking up exchange rates), which is subdivided into 100 stotinki. Romania: The national currency is the “leu” (code ROL) divided into 100 bani. Credit cards are used in the larger cities and larger establishments. Since all meals are included on this tour, you will not need to carry much local cash around with you. Click here to see the current exchange rate. Tipping in Bulgaria & Romania: It is customary to tip about 10% for good service for taxi drivers and servers in restaurants. We will offer a group tip to guides and drivers, and more details will be provided before departure. Come with us and see why the Balkans have attracted such a large following with our clients in recent years. If you have any questions, please call us at: 773-274-8686. Price: $3,800 in double occupancy hotel accommodations. Included: Arrival and departure airport transfers; 13 nights hotel accommodations; all meals as listed in the itinerary; ground transportation in climate controlled motorcoach; sightseeing activities and entrances as listed in the itinerary. This is a fully escorted tour, with local guides added during tours. Not Included: International airfare to Sofia, Bulgaria (SOF) and returning from Timisoara, Romania (TSR); ground transportation for sightseeing on your own (taxis, local guides, etc. ); meals and optional activities not specifically listed in the itinerary; camera fees; alcoholic beverages; insurance; laundry, telephone calls, faxes, or any other expenses of a personal nature. Tips to drivers and guides and other conveyance attendants are not included; tipping guidelines for our group tips will be provided prior to departure.